C.H. sittin’ on the dock of the lake. Wastin’ time. I always hate the last take out of the season. Knowing the next chance to get on the water is months away just never makes me happy. But this weekend was a great way to finish with perfect fall weather and lots of great paddling. 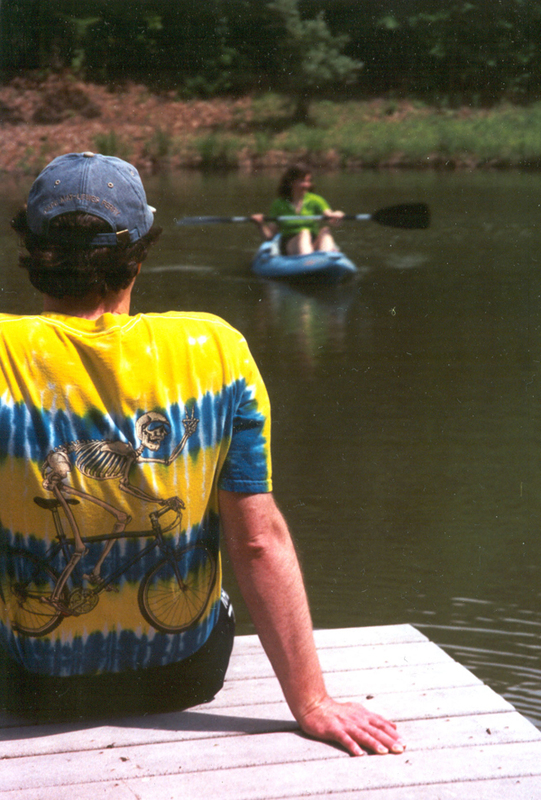 Tina, Morgan and I started on the Raystown Branch of the Juniata River. This was where we first introduced Morgan to paddling and it’s been a favorite ever since. We paddled, ate a streamside lunch and cast for trout. On Sunday we launched at Shawnee Lake, just enjoying the fall colors before the season’s last take out. We had the lake to ourselves and the quiet was the perfect ending to the year. Our last stop before we hit the road was downtown Bedford for some antique shopping — which is always on our must-do list.